Sept 14th @ 7pm. 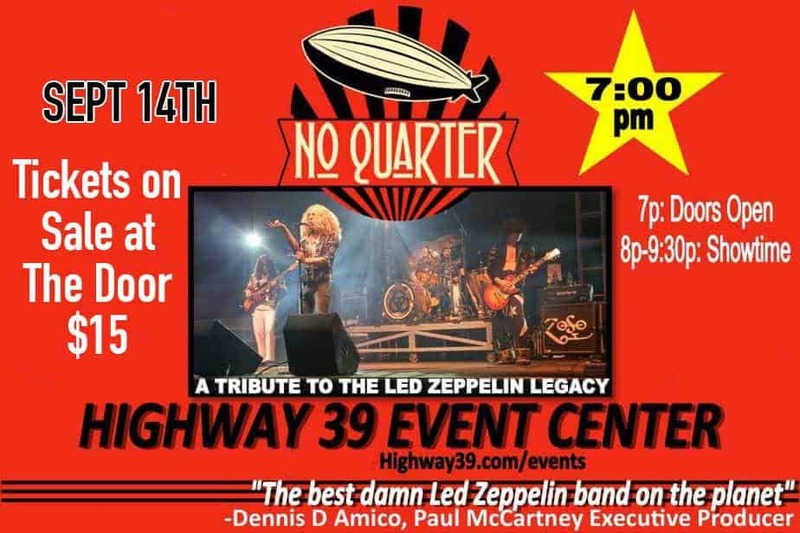 International acclaimed group No Quarter ( the Led Zeppelin Legacy) arrives for one night only at Highway 39 Event Center Anaheim California, to perform their authentic tribute to the legendary British Super Group Led Zeppelin. 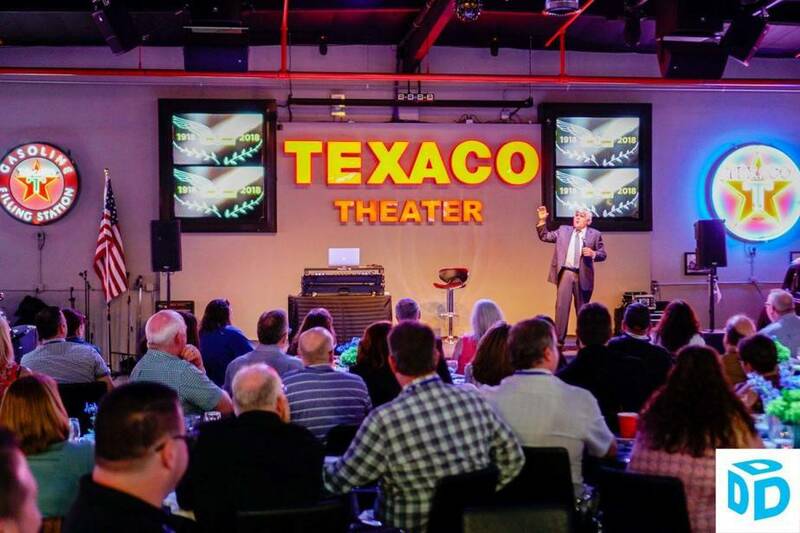 Get together with old friends (and new) who enjoyed meetings through AOCVCB, or anyone who wants to meet and do business with creative, successful, interesting business leaders in travel, tourism, entertainment, event, and connected industries. 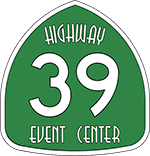 No affiliation with, or competition with VA.
For $10 – Enjoy breakfast buffet brought in by Summit Catering, classic cars, opportunity to network with awesome business people, rekindle old friendships, bring a raffle prize, let’s solve all the world’s problems. Hosted by Michael J McKay (Mikey Mike, The Human Mic). 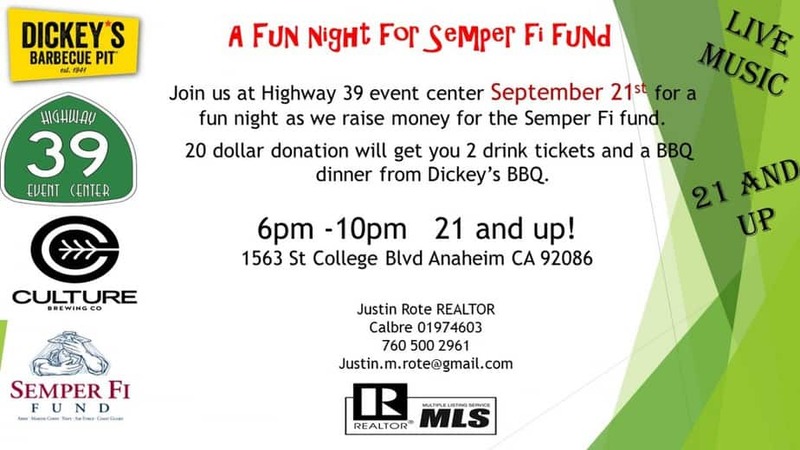 Join us as we raise money for The Semper Fi Fund. The Semper Fi Fund is a four star rated charity that helps our Vets with anything from, bedside assistance, service canine placement, to housing assistance. . For a 20 dollar donation you will receive 2 drink tickets, and dinner from Dickeys BBQ. So come on by and join us in helping out this great cause. Cash only donations please.